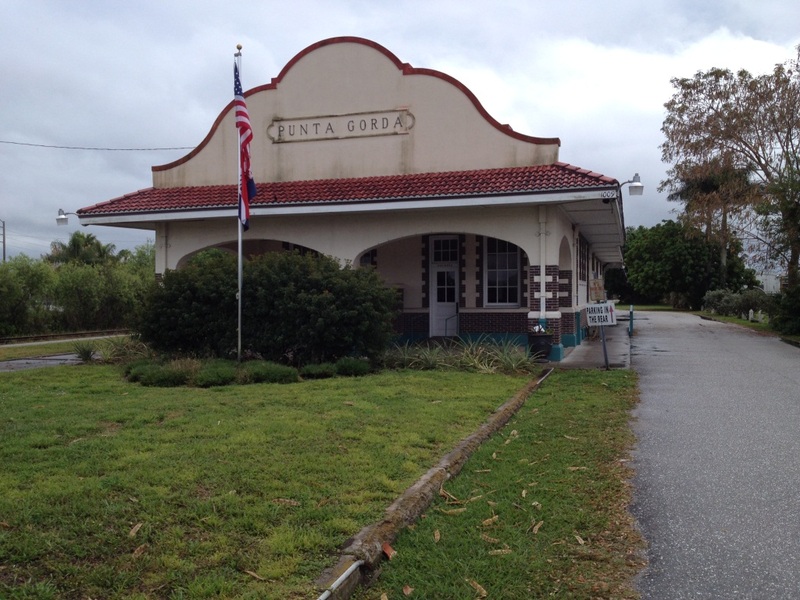 The Punta Gorda Train Depot, also known as the Atlantic Coast Line Railroad Depot, was erected in Punta Gorda, Florida, in 1928. The depot was built with in Spanish style that was popular at the time and resembles a Mediterranean resort. It was built to service mostly freight but passengers were also carried. On east side of the building lay the tracks. 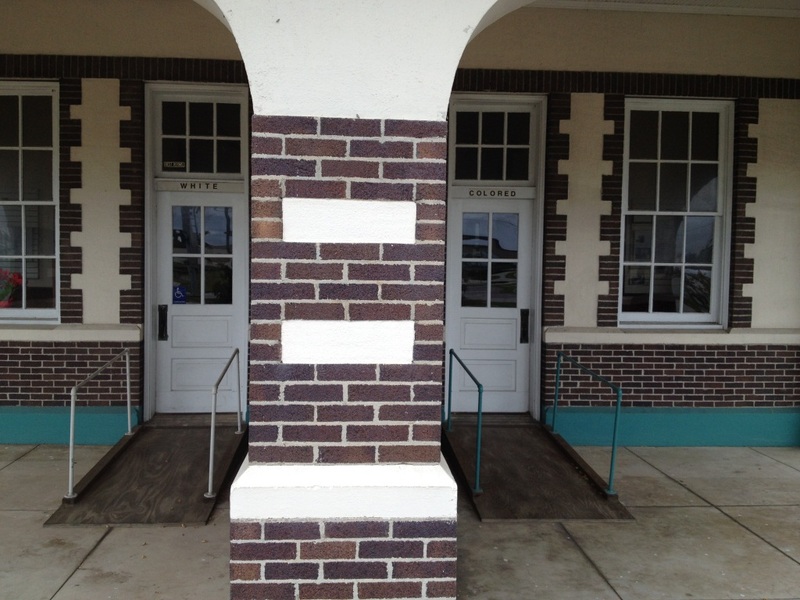 During the segregation era, the depot's entrance had different doors for "whites" and "coloreds." Two different waiting areas and bathrooms were built to separate passengers. Original color digital images by Joseph Ortner, March 2014. Originally created and owned by Joseph Ortner. Copyright to this resource is held by Joseph Ortner and is provided here by RICHES of Central Florida for educational purposes only. "ABOUT THE DEPOT." Punta Gorda Train Depot & Antique Mall. http://pgtraindepot.wordpress.com/about/. 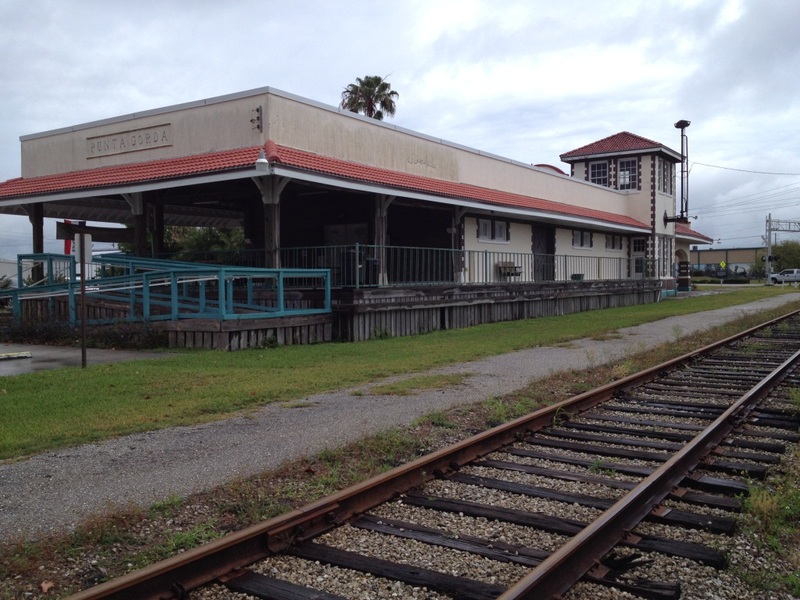 "Punta Gorda Train Depot." Punta Gorda Historical Society. http://puntagordahistory.com/ourhistoricbuildings/puntagordatraindepot.html. 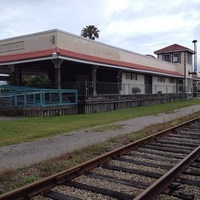 "Punta Gorda Train Depot Antique Mall & Museum." Punta Gorda Historical Society. 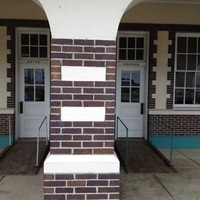 http://www.puntagordavisitor.info/Historicpuntagorda/traindepot.html. Ortner, Joseph. 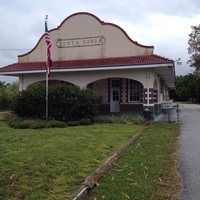 “Punta Gorda Atlantic Coast Line Railroad Depot.” RICHES of Central Florida accessed April 26, 2019, https://richesmi.cah.ucf.edu/omeka/items/show/5110.